Trading robots. Are they still relevant? What is automatic investment? The evolution and development of trading in terms of process automation has spawned automated algorithms for trading and investing in assets – known in this professional environment as “Robots.” Today you can see quite a few such programs that promise stable, and most importantly, surprisingly profitable, results, and on top of that, trader participation is not even necessary. Of course, this is tempting primarily for beginners, but pros often also wish to automate their trading processes as much as possible. Robots for trading – the problems, their relevance, the best offers on the market, the conditions for profitable use, and also the best algorithms – these issues will be addressed in our article. • Automatic – fully automated algorithms which follow the principles of trading for a particular trading strategy, as well as the rules for risk and capital management. This type of trading robot does not require the constant presence of the trader and conducts all its trading operations automatically. • Bots – they are a relatively new technical tool for trading on financial markets. This technical service is a technological derivative of the classic robots that work on the Forex market. A standard principle is applied here – the bot automatically evaluates the market parameters and executes a trading position if all the conditions in its algorithm are met. This mode of trading financial assets has a very big advantage – the trader does not need to sit behind the monitor and participate in the trade. Bots are a fairly lucrative way of trading, and they do not require specialized knowledge from the investor and they can work non-stop. But it is worth noting that bots can also provide negative trading results, because they cannot take into account all possible data, for now, only humans can do that. Among the effective bots available on the market, we will point to the following: Butter Bot, Bot-2, and Tradewave. If you have chosen to trade with a bot, then you already know that subscriptions cost money and in some cases, quite a bit of it. And then a completely natural question arises: who are these altruists of the financial market who provide such opportunities for free or even for money? 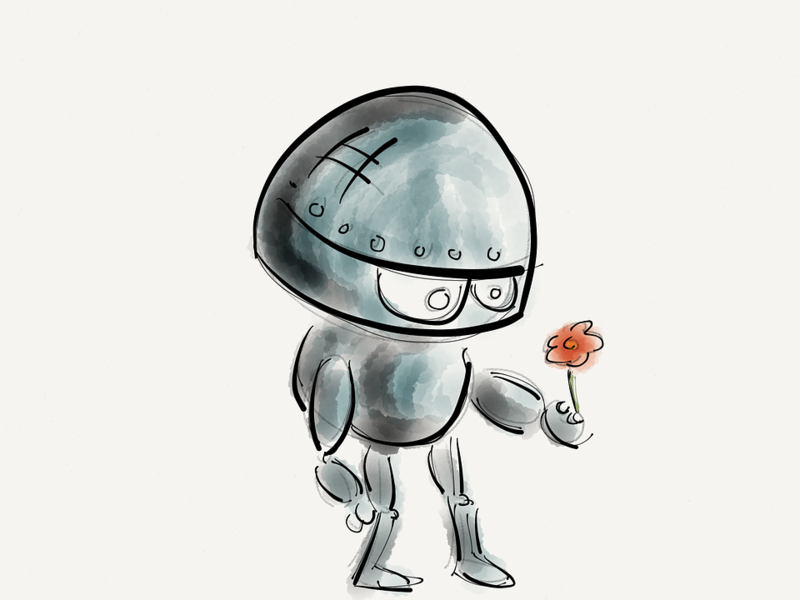 If the robot is really so phenomenal, then why sell it or provide free access to it? The answer is obvious – there is no reason! Against this background, we will try to consider the main problems of robots. Most experts in the financial trading industry would agree that if trading robots had artificial intelligence, they could become really indispensable tools on the market. However, automated trading programs cannot be trained, and this is the main problem. This is due to the often changing parameters of market fluctuations. Any trading system has a certain optimal mode for achieving the best possible result. If the strategy is used in market conditions that are not included or considered in its operational algorithm, then it will inevitably fail. When using a robot, where the trader does not control the money management parameters, this becomes a critical indicator that leads to losses that are critical to the amount of operational capital. An additional problem with trading robots is how they are completely tied to a particular trading terminal. Many of you have probably seen specialized sites that have such offers as “Trading robot for free” or “Download trading robot,” and were very surprised that these algorithms work exclusively on the terminal of a certain company. Yes, there is a special feature of this market – each company offers its customers their own product with particular trading functionality. For this reason, trading robots can be considered a kind of bonus offer rather than a really viable product. Imagine that you’ve contacted a company whose main goal is not to make money on your trading turnover, but specifically from your trading account – what kind of trading robot do you think you’ll get?! How to solve the problem of robots and are there really effective algorithms for automatic trading? There is no doubt that there are robots on the market that can, under certain conditions, bring consistently high results. But they are available to a limited number of traders or are exclusively developed by professionals themselves. To overcome the main issues concerning trading robots, it would first be necessary to conduct a painstaking audit of robot performance and effectiveness in different market conditions. In addition, we must be most skeptical about automatic algorithms that are provided directly by trading platforms and choose companies with the best possible reputations. But the most correct approach for the application of automatic programs would be to independently develop and use them ourselves. In this way, you would be able to clearly understand the principle of the algorithm and you would be able to influence its operation while in the process of trading. We can also recommend the algorithms developed for the Meta Trader 4 platform! First of all, you’ll be using an automatic program that is not tied to a specific terminal, which reduces the company’s impact on your results, and secondly, the MT 4 is a universal trading platform for robot use. Professionals and successful traders give beginners the following advice – use robots as an aid and constantly monitor the algorithm’s operation. The beauty of automated trading is the lack of psychological factors when executing contracts. The algorithm, after receiving its signal, immediately executes a position on the market without hesitation, while the trader, on the other hand, could still reason for a long time about whether the signal was correct or not, and thereby lose time and a favorable market position. But, at the same time, it is necessary to take into account trading factors that a robot cannot assess: the level of market volatility, the trading time, the news background, and changes to the rules of money management. By doing it this way, and with constant monitoring of the trading robot, the trader can achieve excellent results. Is it worth using robots for trading? With these conditions, a trading robot can provide results and help the trader obtain not only profit, but also growth in professionalism and trading experience. Our article would not be complete if we did not offer you an alternative to automatic robots and this method of investing. Today, the alternative is classic trading strategies! Let’s try to understand their basic formats. This is a list of the most popular approaches that are most often offered on the internet. This type of trading system is most often used by traders. It is quite logical – there’s a wide variety of technical indicators that can accurately and quickly evaluate data and generate forecasts, the most simple mode of use. These factors are fundamental to investors when choosing trading systems. Indicator systems always generate clearly formed signals with the highest possible level of efficiency. • Trend strategies – they work on cyclical patterns of price movement on the trend relative to certain levels. Quotes moving in a certain direction always, as it were, bounce off of certain levels – the support and resistance levels. Trend levels are very easy to determine on the liquidity chart using visual lines. This kind of strategy is used by many traders, both beginners and professionals. It is simple, understandable to all traders, and does not require serious knowledge of the investor. Moreover, in addition to its simplicity, it also has a high level of efficiency. • Channel strategies – they are trading techniques that also use trend levels. In this mode, both trend lines are used at once, which shows a clear range in which the asset market is fluctuating. The advantage of channel systems is the possibility to trade in two directions at once. This type of system is very effective for working on flats at night. • Trading on patterns – this is the most complex type of trading system. When building liquidity charts, Japanese candlesticks form a huge number of diverse combinations and patterns. After studying the influence of these patterns on market price movements, you get an extremely effective strategy. This method of analysis was developed a very long time ago, but modern traders have only known about it since the 1980s. We have now come to perhaps the most simple, yet effective approach to trading – trading on the news. This principle of trading is based on the reaction of the market to a particular publication of macroeconomic data or a political statement from a governing body. These drivers can influence the performance of certain sectors of the economy or the financial market as a whole. Here the main thing is to clearly monitor the news market background (it is not difficult to do with the help of special news services) and, depending on the data contained in the news publications, to quickly execute contracts. This is undoubtedly a narrow list of trading strategies from all the different ones in existence. But when having in your arsenal a set of such systems, you can profit on any available asset and in any market situation, which, believe it or not, is not yet attainable for automatic robots. After analyzing the work of robots and the relevance of their use in trading through the prism of having highly effective strategies available, we come to a rather controversial conclusion. On the one hand, we have every reason to automate trading and expect a stable result. On the other hand, the imperfections of robots and bots often leads to losses of capital. Undoubtedly, robots are effective and can be used, but this should be done with a high degree of monitoring by the trader. ← How can traders trade more effectively?